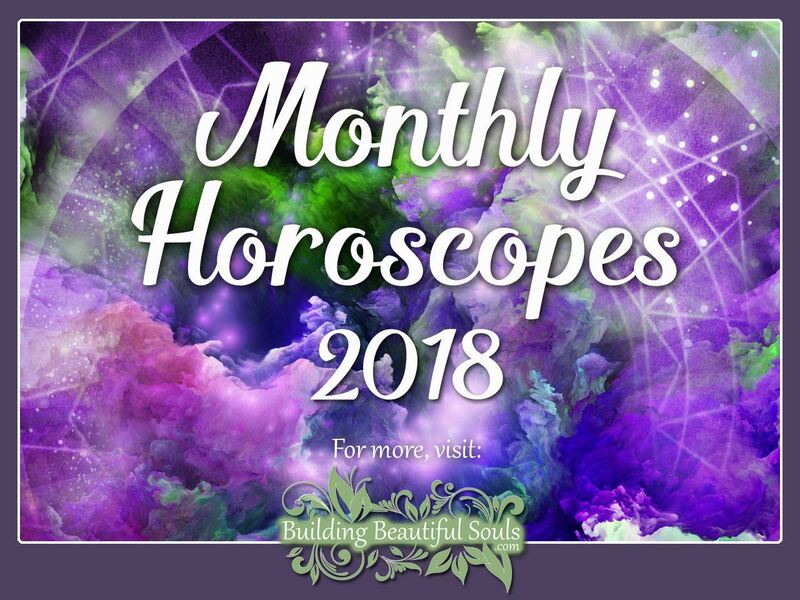 Welcome to the most in-depth monthly horoscope and astrology overview for August 2018! Make sure to bookmark us so you can come back throughout the month for a horoscope ‘check-up’. August begins with us still in the clutches of the second Mercury Retrograde of 2018. We won’t escape the chaotic influences until August 18th when Mercury goes Direct. Until we’re in the clear, it means watching documents and appointments. Also, we’ll have to do our best to avoid miscommunication with others. Difficulties with technology and travel are common. Until mid-August, we’ll spend time reevaluating our position in career and relationships. It’s time for considering how far we’ve come and what we still must do. It readies us for when Mercury’s motion goes direct. Good news: Once we make it through this retrograde, there isn’t another until late November 2018. Contributing to the rough start of August is the Mars Square Uranus influence. This event forms a trine with the Sun in Leo and the Moon in the sign of Aries. These influences cause our rebellious nature to appear. We are prone to reckless action resulting in potentially violent consequences. Remaining alert is an essential to making the most of this energetic influence. On August 6th, the Sun Squares Jupiter, stirring up our liveliness. How we apply the energy makes all the difference in the world. We can use it as a force or positivity or we can end up triggering complications in our lives. Staying moderate in all things is key to making it through the day unscathed. On August 7th, Venus trines Mars, revealing our desire for fun and friendship. Singles find this time exceptional for social engagements and adventure. It’s also a wonderful time for those in existing relationships. There’s a nice balance between desire and affection. Focusing on strengthening friendships is ideal now. The 7th also has Uranus going Retrograde this month. This is a period where we feel the stirrings of change. August 9th, the planet of love, Venus, squares Saturn. There’re challenges ahead in romance and potential disagreements on the horizon. We may find ourselves too cynical and condescending during this time. Others might feel intense insecurity in romantic pairings. It’s best to not push the issue and to do one’s best to get through the day with little focus on romance. Two days later, there’s a partial solar eclipse and the New Moon enters Leo. Now’s a time were our heart and spirit demand attention from friends, lovers, and family. We crave our time in the Sun or spotlight. It’s also an exceptional time to pursue our greatest ambitions. August 12th, Mars goes retrograde. Now we should reevaluate things, whether it’s relationships, business, or personal pursuits. As this week progresses, we’ll all feel the lessening of Mercury Retrograde’s influence. By the 18th, the planet goes direct. So, we get a chance to move forward ourselves. Now we’ll look forward to starting up partnerships and relationships. We’ll have a sense of freedom as we can feel more confident in our communications. Brain fog lifts, letting in greater clarity and understanding. August 19th brings a Jupiter trine Neptune influence, and with it, awesome good luck vibes! It’s a nice reward after the more difficult issues we all face earlier in the month. Here, our positive emotions stir. We’re feeling more affectionate, kind, and considerate of others. Since mid-July, the Sun’s position is in the sign of Leo. On August 20th, it’s the arrival of a beneficial trine. Energies are buzzing with positivity, and there’re harmonious vibes! Now, Sun in Leo ends up in a trine with the Moon in Sagittarius. There’s an extra boost of positivity magnifying the energies during this time. Launching projects will assure success now. 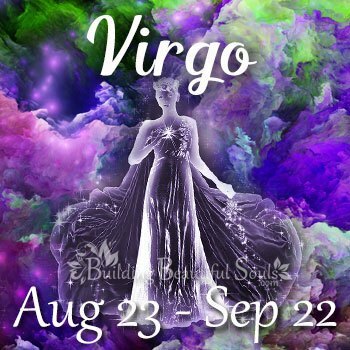 On the 22nd, the Sun transitions into the sign of Virgo, paving the way for matters of practicality. As we relax during the lazy and hot days of summer, we begin to turn our attentions to sensible matters. By instinct, we remember the colder months, and the time to prepare for the darker season of the year. The period highlights self-evaluation. Now, we must assess how far we’ve come and what remains undone. We also take an honest look at what we can still carry out before year’s end. The 25th is a critical time of the year. It stages the arrival of the Grand Trine: between Saturn in Capricorn, Uranus in the sign of Taurus, and the Sun in Virgo. All three zodiac signs share the earth element. Practical, sensible matters are highlights as are breakthroughs on the physical plane. The Full Moon enters the sign of Pisces on August 26th. Energies highlight our creative musings and so we can manifest our deepest passions. Emotional intensity increases during this time. It may stir up some anxiousness for those who are natural introverts. Anxiety increases with the influence of Venus Square Pluto energies. With emotions running high, some of us may want to run away. This week on the 27th of August, we’ll feel the energies of Mars as it goes direct in the sign of Capricorn. Here it’s as if all the positive energies in August have culminated into a final week of blessings and good vibes. We’ll feel a sincere desire to carry out our goals or greatest passions. At the end of the month, we want to launch projects. On the same day, we enter the influence of Mercury Square Jupiter, so we’ll have to keep our wits about us. It’s easy to get way too excited about the end goal so we don’t see all the small steps we have to start first. Rather than rushing headlong into anything, it’s better to pull back the reins. July slowed Aries down. They adjusted to the shift between the springtime energy rush into the lazier days of summer. Days have a slow roll as they pass during the first few weeks of the month. But, Mercury’s retrograde contributes to this “time-drag” sensation too. It leads to Aries’ growing lack of patience. The last few weeks in August promise Aries a serious energy boost. On August 1st, the trine between the Sun and Moon might have no-nonsense Aries ready to rage. Today Aries will feel the friction in the air. It’s no day for allowing impulses to reign. August 6th has Aries feeling on top of the world and ready to run headlong into any situation. But, Aries’ competitive and daredevil behaviors might get them into a bit of pickle if they aren’t careful. August 7th, Venus also trines Mars. The influence has restless Aries toning down their energies a notch. 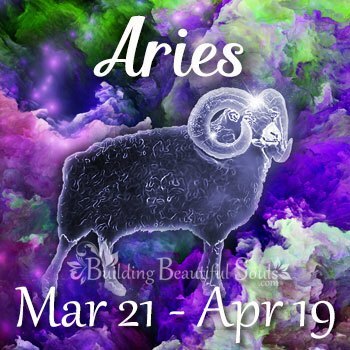 Enthusiasm rules as Aries seeks out social connections and companionship. As Uranus goes retrograde the same day, Aries taps into their intuitive abilities. It makes them more self-assured than ever in their decisions. The 9th will see Aries in a grouchy mood. The Venus Square Saturn has Aries starting out the day on the wrong foot. On the 11th, it’s a nice shift from negativity into positive vibes once more. New Moon in Leo supports fresh starts. Aries will be more emotional and in touch with how they feel. On the 12th, Mars’ retrograde action has Aries taking a pause. Instead of forging forward in warrior mode it’s time to reflect on the past to better plan for the future. The 18th lets Aries get right back into forward motion and project startups. Mercury in Capricorn will stimulate creative thinking now. With the 19th’s arrival, Aries feels on top of the world. 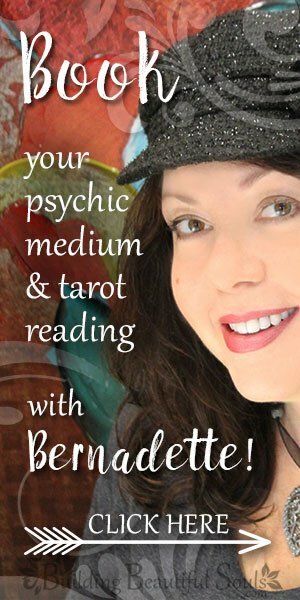 Great luck in all endeavors boosts Aries’ confidence tenfold! Arts and music have appeal. The 20th’s Sun and Moon trine promise a day-and-a-half of super positive vibes. Aries’ self-reliance and independence are highlights now. The Sun moves into Virgo on the 22nd, pushing Aries toward practical matters and a sense of grounding. The Grand Trine on the 25th has Aries’ imagination and inspiration all fired up. Without much effort at all, Aries can discover success in every action. Full Moon might trigger some excessive energies in driven Aries personalities. The 27th, when their ruling planet Mars goes direct, Aries is ready to handle projects head on. It’s important they keep focused during this time to avoid making serious mistakes. Healing Crystals & Stones: A brownish to blackish Apache Tears stone keeps Aries on the right course in August. When feeling unstable or impatient, the stone contributes balancing energies to one’s base/root chakra. If Aries grows to ambitious or overzealous when energies are high, the stone serves to ground them. August 1st presents the sun and moon trine coupled with the influence of Mars square Uranus. It’s a good thing Earth-ruled Taureans aren’t quick to shift their mood. Staying grounded keeps Taurus down-to-earth and pragmatic. It’s good news as impetuous decisions could get them into trouble otherwise. The Sun Square Jupiter energies on the 6th might have foodie Taureans over-indulging! Remembering to remain moderate in all things today is important. Over-doing it can cause a belly-ache for foodies and a headache for others. There’s temptation to impulse buy now. On August 7th, amiable Taureans will seek friendship and lifelong companions. Today is an exceptional day for painting, drawing, or other artistic pursuits. Taurus will feel in tune with their natural psychic abilities. Since Uranus is retrograded in Taurus, it’s a day for reevaluating the past. The 9th sees the ruling planet Venus squaring Saturn. The energies encourage Taurus to embrace inertia and to wrap one’s self in the safety of isolation. There’s little desire to pursue a romantic connection. Instead, Taurus might deal with old emotional wounds. The New Moon in Leo on the 11th brings Taurus’ love of joy and beauty to the fore. It’s a day for entertaining others or enjoying one’s favorite entertainment. Pursuing dreams and desires are also highlights for Taurus today. On the 12th, peaceful Taureans reviews existing projects and reconsiders what they want. The retro movement of Mars encourages inward reflection. It’s time to question the reasons they embrace what they do. The 18th lets chaotic communications settle down. Now Taurus can think with greater clarity than they have in the past three weeks. It’s lifts a figurative weight off their back. Taurus’ natural generous and loving nature comes to the fore. Community service and being helpful ends has Taurus making everyone happy. The trine between the Sun and Moon on the 20th lets Taurus do one of their favorite things in the world: Be creative. 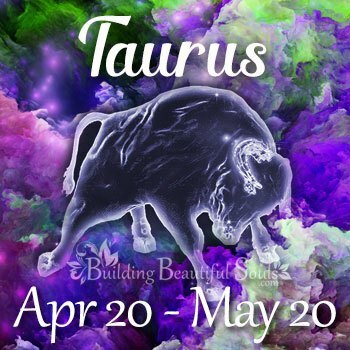 Enjoy it now Taurus as the 22nd has you focusing on more practical matters. It’s time to clear out household clutter. Plan a weekend garage sale to get rid of what no longer serves you. The Grand Trine on the 25th carries the influence of the Earth element. Its energies are powerful in life of a Taurean. They should use the energies from the trine with care. It encourages Taurus to do the emotional work they to ensure personal growth. Taurus will have to do what they don’t like: Embrace change. The Full Moon on the 26th is in the sign of emotional Pisces. This can leave grounded, practical Taurus feeling emotionally open and vulnerable in relationships. Taureans don’t care for feeling exposed so it can trigger some anxious moments. Confidence in all things improves on the 27th with Mars entering Capricorn. Healing Crystals & Stones: Taurus’s stone for August is the Green Jade. With Taurus’s motto being “I have,” the Jade helps in manifesting desires and to carry out dreams. Taurus can ensure success by wearing or carrying the stone during ideal times in August. The first of August might have Gemini feeling scattered. Being multi-talented makes it difficult deciding what creative pursuits to undertake. Gemini can’t help wanting to engage in undertakings allowing them to soak up knowledge! It’s an effective way to funnel the chaotic energies today. The same scattered feeling re-emerges on the 6th. It’s a day where moderation is best, but Gemini’s dualistic nature comes to the fore. Air-ruled Geminis can’t fight off their natural fickleness. They’ll fly from one project to another and risk putting too many irons on the fire. The 7th is another exceptional day for limelight loving Geminis. If in love, Gemini welcomes the romantic connection. The 7th will see Gemini expressing their gratitude for their partner. 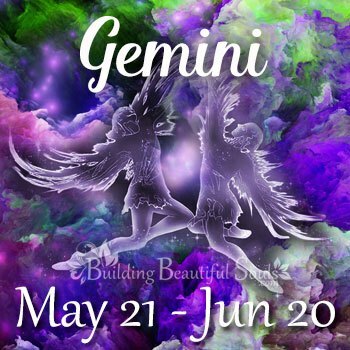 The 9th will have Gemini’s moody and broody side coming to the fore. It’s a good day for contemplating the future and life’s direction. Painful emotional wounds may rise to one’s consciousness. It’s as if the memories are seeking attention so healing can occur. Those in an existing relationship will need to “take flight” to escape arguments. When Mercury goes direct on the 18th, Gemini goes right into launching projects. There’s no time like the present. Ambitious Geminis won’t let grass grown beneath their feet! Today, Gemini walks through the world adaptable and feeling generous. Then, the Sun and Moon trine on the 20th encourages one to make the most of an “always-active” mind. As the Sun moves into Virgo on the 22nd, Gemini senses the change. The time calls one’s attention to practical or sensible matters. Here, lofty Gemini feels the energy shift and feels as if they’re slowing down. There’s less flighty behavior now and well into September. But, the Grand Trine on the 25th will give Gemini a big burst of creative energy. The Full Moon enters the sign of Pisces the 26th, making Gemini more emotional than usual. They may appear pensive now as quiet reflection and meditation are highlights today. It’s best to keep a low profile today with the Venus Square Pluto influence too. On the 27th, another burst of optimism awaits! But, it’s important Gemini doesn’t get too crazy with all the “feel good” vibes! With Mercury Square Jupiter, Gemini ends up looking like a braggart. Healing Crystals & Stones: Air-ruled Gemini is prone to flights of the imagination and creative moments. To help make their imaginings and dreams manifest, Gemini can carry or wear an Agate Stone. It lends grounding energies and helps stabilize Gemini’s flights of fancy. when necessary. The astrological influences on the first of the month have Cancer feeling insecure. The energetic influences are uncertain. Intuitive Cancer can feel the fluctuating, volatile vibes. Cancers crawl into their protective shell until the feel the physical world is safe. The energies are powerful, yes, but Cancer can put them to excellent use. Pursuing creative endeavors are highlights for today. By the 6th, Cancer already feels like they’re riding a roller coaster. On the wild ride there’re rapid energy shifts. The optimism and happy-go-lucky feel today is too good to be true. Cancer’s distrust of the energies is correct too. The 7th carries similar influences. It’s time for focusing on friendship. Leave money matters and love for another day. 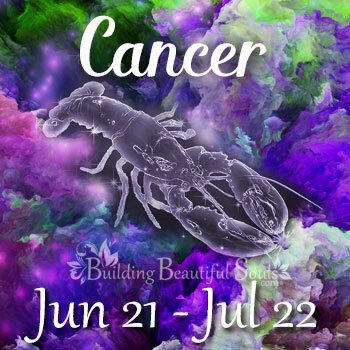 August 9th has Cancer facing old emotional wounds that have held them back for some time. Painful as it might be, it’s to one’s benefit to address the feelings once and for all. The mundane world feels safer by the 11th. Cancer comes out of hiding to enjoy their favorite hobbies. But, Cancers still need confirmation they’re in a secure place in love and money matters. The 12th has Cancer digging deep into emotional motives. They’ll reflect on the determent of anger turned inward. From the 18th of August until Mercury goes direct, it’s best for Cancer to hold off on starting new things. It’s a time for looking at existing projects. Tying up loose ends promises success. The 19th has Cancer revealing their soft side to others. Whether helping friends, family members, or strangers, Cancer’s compassionate nature shines! With the Sun and Moon trine on the 20th, Cancer experiences the harmony they’ve been craving. All important matters in life are in a “smooth sailing” phase. Love grows, the budget becomes balanced, and Cancer can let down their guard. The 22nd has Cancer rising out of the waters of emotion to bask on dry land. It’s time for sensible matters so emotionality subsides. The Grand Trine this month corresponds with the earth element. Its arrival bathes Cancer in grounding energies. The full moon has Cancer feeling a need to connect with the Feminine Divine. Acts of self-nurturing and nurturing others are highlights. The 27th gives out a happy-go-lucky vibe. But, cautious Cancer still proceeds with care. It’s a good thing as it helps keep their emotions from drowning in drama. Healing Crystals & Stones: With many opportunities for embracing change in August, Cancer cans should carry Chrysocolla. The stone helps stabilize emotions and increases self-confidence. It’s excellent for drawing positive vibes and eliminating negative energies. The Sun and Moon trine on the first stirs up Leo’s craving for adventure and conquests! The King of the zodiac is feeling ready to conquer the world! Expanding one’s mental realms through education or creative endeavors are appropriate now. The footloose, fancy-free feelings burst forth on the 6th. Leo feels like the world is their oyster! But, it’s best to keep one’s feet on the ground at all times. Overdoing things now can cause disappointment. The Venus trine Mars influence on the 7th continues to carry the high levels of optimism. On the 9th, Leo will face obstacles in finance and love. The 11th brings in a power day for all those born under Leo. The mid-summer New Moon is the perfect setting for new projects or relationships. Leos are likely to have epiphanies or musings leading to innovations. Creativity is at its height. The 12th will have Leos reevaluating the projects and relationships in the works. If there’s room for improvement, now is the time to fix mistakes or mend broken bonds. Communication goes back to normal on the 18th, much to the liking of transparent Leo. 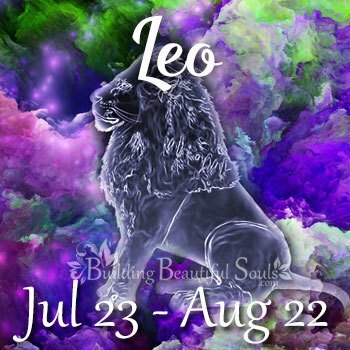 The best of Leo comes out on the 19th during the Jupiter Trine Neptune influence. The Sun and Moon trine on the 20th continues with the good vibes as Leo falls under a “creative spell.” The 22nd has Leo thinking in practical terms and planning for the future. If Leo is creatively blocked, the Grand Trine on the 25th brings plenty of inspiration. The 26th, the Full Moon in Pisces has Leo more in touch with the Divine within and without. The 27th gives Leo the “conquer the world feeling,” but it’s best to move forward with caution, anyway. Healing Crystals & Stones: Red Carnelian makes the ideal amulet or talisman for Leo in August. The first part of the month has Leo in their sign, so it’s a power month until the 20th. Later in the month, Red Carnelian helps Leo to tap into their fiery and inspiring creativity. Responsible Virgos start out August 2018 with a burst of energy. With the Sun and Moon trine, gives Virgo a chance to let their shadow side play without repercussions. The 6th and the Sun Square Trine encourage hyper-critical Virgos to take a breather. There’s a sense of calm letting one look at the world with less cynicism. The same day, Venus enters Libra, so the desire for balance and harmony come to the fore. Virgo may feel they’re in touch with their creative side today. The 7th intensifies the energies of the day prior, so there’s a focus on friendship and good times. Those with an impeccable memory reflect on the past. Now they’ll learn from situations and conditions they’ve already been through. On the 9th, the Venus Square Saturn may have analytical Virgos over-thinking things. The New Moon in Leo will have Virgo thinking about relationships and putting a focus on love. But, when Mars goes retrograde on the 12th, there’s a shift in focus. The energies have intellectual Virgo second-guessing every move they make. When Mercury goes direct on the 18th that’s when Virgo will feel some normalcy. They’ve made it through the cognitive haze of retrograde. The Sun in Leo on the 20th trines the Sagittarius Moon, making it a day full of bubbly excitement and creative fun. Two days later, the Sun enters Virgo. Now is the time Virgos everywhere feel at the height of their power. All practical matters are the focus now. A Grand Trine on the 25th helps Virgo feel grounded. The Full Moon in Pisces on the 26th has Virgo more emotional than usual. Mars goes direct a day later, giving Virgo a great burst of energy if they use it wisely. Healing Crystals & Stones: Virgo’s stone for August 2018 is Tree Agate. The stone helps Virgos to tap into emotions with greater clarity. It lends to the easier expression of feelings. When energies are too high, Virgo can avoid feeling scattered. Harmony and peace-loving Libras enter the month feeling creative and free. Inspirations running high may have Libra starting up different projects before finishing one. There’s no holding back on the energetic buzz. On the 6th, the Sun Square Jupiter influence promises fortune and happiness. But, only if Libra stays balanced in all things. Discipline is of the utmost importance now. Otherwise it can lead to humiliation and irreparable loss. Venus enters Libra the same day. Libra will dole out the height of their charm, but may be distant with romantic partners. It’s better to avoid superficial interaction. It’s time to face uncomfortable conditions head on. The Venus trine Mars influence on the 7th has Libra basking in the social limelight. They’ll enjoy a day full of fun-in-the-sun or a night on the town. It’s an excellent day for love and dating. The retrograde of Uranus in Taurus has extroverted Libras looking inward. It’s a day for reflecting on future change. The 11th has the New Moon in Leo pointing Libra toward new starts in business and love. Libra puts a focus on their greatest passions as they look to manifest dreams. The retrograde action of Mars on the 12th has Libra reexamining their position in life. All projects in the making go under re-assessment. The action seems like second-guessing. But, it allows for deciding the best path forward. Now is the time to question what’s been worthwhile and what’s not working any more. The 18th puts Mercury direct again. It makes Libra feel light and giddy. A Jupiter trine Neptune influence on the 19th has Libra doling out the love! It’s flower-power energy now! Libra feels like their most compassionate and generous self. It’s all good as it results in great karma! The Sun in Leo trine with the Moon in Sagittarius promises plenty of inspiration on the 20th. Libra feels inventive and starts the day with a new vision. The Sun transitions into Virgo on the 22nd, which brings the airy and dreamy Libra’s head out of the clouds. August’s Grand Trine arrives on the 25th, resulting in a day full of grounding energies. Three planets move into signs with the same element. The alignment of the Sun in Virgo, Saturn in Capricorn, and Uranus in Taurus all share the earth element. It means Libra needs to come back down to Earth. The realm of the imagination can wait until Libra addresses practical matters. The Full Moon’s arrival in Pisces has Libra diving deep into the realm of emotion. The feeling emerges despite their normal airy-intellectual nature. But, a square causes conflict between the planet of love and transformative Pluto. It can cause Libra focusing on the darker side of emotion. So, it’s best to pull back from intense interactions in relationships today. Mars goes direct on the 27th, making Libra’s direction in life clearer than it has been in a long time. 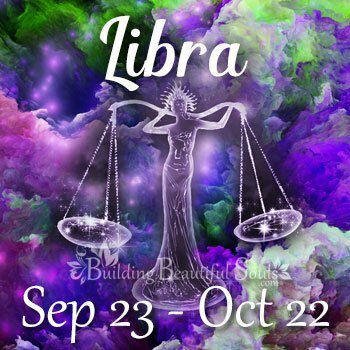 Libra’s emotions and mood are high today. They see the future, and all looks bright. Healing Crystals & Stones: Some of August’s high energy days may be too much for harmony-seeking Libras. Lapis Lazuli’s royal blue coloring stirs up a deep calming sense just looking at the stone. It also helps Libra tap into their natural intuitive nature. This stone stimulates peaceful vibes. The Sun in Leo trine with the Moon in Aries may push the buttons triggering Scorpio’s fiery temper. They’ll stay cool and collected on the surface. But, there’s an energy brewing making it easy to push Scorpio over the edge. If Scorpio can keep their temper in check, the energies of on August 1st can serve as catalyst to greater things. The 6th Scorpio is feeling warm and fuzzy underneath their detached demeanor. Love is in the air and on the mind when Venus enters Libra. Scorpio turns on the charm and puts full focus on the one they feel so strongly about. They’ll direct and redirect their partner to put a focus on themselves. The 7th keeps Scorpio on the love train as the energies from the day prior intensify. With Uranus retrograde in Taurus, Scorpio becomes reflective. On the 9th, with Venus in conflict with Saturn, the focus on past emotions left unresolved. It may stir up jealousies and resentful feelings. The New Moon in Leo promises a fresh start for Scorpio. New beginnings are in romance and new business projects. It’s time to bring one’s greatest passions to the forefront. Manifestation of dreams is a real possibility now. On the 12th, one of Scorpio’s ruling planet, Mars, goes retrograde. As the planet of action, desire, and energy, the retrograde action slows things down. The forward motion of one’s passionate pursuits seems to come to a near halt. With retrograde movement, it’s a cue for Scorpio to slow down. It’s time to reassess, reevaluate, and to reexamine all relationships and projects. Mercury goes direct on the 18th, so the pathway of communication becomes much clearer. The trine between Jupiter and Neptune give Scorpio a reprieve on the 19th. It’s a break from all the heavy-duty reflection they’ve been doing. Today it’s time to come out of the introverted shell and be more loving and generous. The Sun in Leo on the 20th trines the Moon as it enters Sagittarius. It’s an influence bringing Scorpio’s natural self-reliance and independent nature to the fore. Scorpio can expect a harmonious day. On the 22nd, Scorpio thinks about the future and the most practical course of action. A Grand Trine on the 25th puts an emphasis on sensible matters. 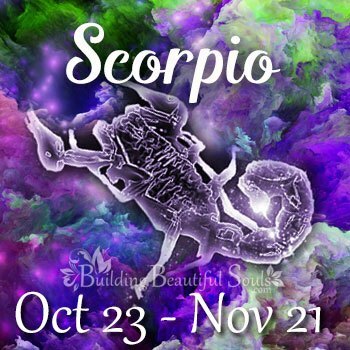 It leaves Scorpio feeling grounded and ready for the future. But, the Full Moon in Pisces on the 26th will have Scorpio all wrapped up in intense emotions. Venus squares Pluto on the 26th. The conflict between the planets shows up as discord in relationships and partnerships. The energies last about a day. Mars goes direct on the 27th so Scorpio is once again ready to conquer the world. It’s important for Scorpio to keep their head about them. Healing Crystals & Stones: Rhodochrosite is the stone for Scorpio during August. It promotes calmness and serenity by drawing love into one’s life. The positive vibes Rhodochrosite attracts also helps Scorpio keep emotional control. It is effective when keeping quick-to-trigger jealousy, frustration, and anger under wraps. Adventurous Sagittarius feels excitement in the air during the first days of August. They are apt to look to risky adventures for the thrill. But, it’s best to stick to safer adventures until the energetic influences dissipate. The Sun square Jupiter on the 6th makes Sagittarius dangerously over-confident. They’re also blindly optimistic. All things should be in small doses. The Venus Mars trine on the 7th have the planet of love and planet of war in conflict. It creates an interesting friction. Harmless to friendships, it can brew up a stew of difficulties in love. Sagittarius should lie low in all romantic endeavors. Unless Sagittarius finds themselves ready to go head-to-head over existing relationship issues. On the 9th, Sagittarius should do away with sarcasm. It only adds tension to troubling relationships. The New Moon on the 11th, has extroverted Sagittarius looking inward. It’s a time for one to consider if they are on a path leading to happiness. When Mars goes retrograde, the time for reassessments and reevaluations continues. Sagittarius should look at projects and partnerships. It’s time to see if they are still worthwhile connections. Sagittarius will feel less competitive during Mar’s retrograde action too. The 18th makes a clear pathway for communicating with others. The 20th rings in with harmonious vibes. Sagittarius feels in balance and on target as they move toward the future they envision. The 22nd the Sun moves into Virgo. Adventure-seeking Virgo puts a focus on sensible matters. The Grand Trine on the 25th, puts even more emphasis on practical matters. The Full Moon in Pisces has fun loving Sagittarius thinking about matters of the heart. If there are emotional wounds left unaddressed, they’ll appear now. Sagittarius’ sarcasm will have them giving out ultimatums to loved ones. It’s an attempt to make someone conform to Sagittarius’ idea of what should be. The 27th brings Mars direct again. Sagittarius feels like they can run the world. The over-confidence has a nice feel, but it’s dangerous. Healing Crystals & Stones: Sagittarius can benefit from wearing or carrying Bronzite in August. 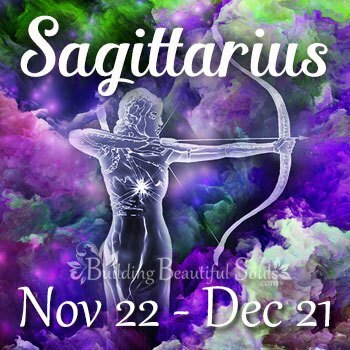 Harmonious energies will follow Sagittarius the entire month. Bronzite helps ensure harmony even when things get unstable. The stone encourages reflection and thoughtfulness while lending the grounding element Sagittarius needs. Charismatic Capricorn knows just how to make the most of the exhilarating energies the first of August. If they curb their brutal honesty, they won’t step on anyone’s toes. Things go smoothly the first week. On the 7th, they’ll feel an urge to divert from the norm and do something different from the “tried and true.” The good-luck vibes carry through until the 8th. From the 7th through the 9th, Capricorn may seem withdrawn. They’ll review the past to perfect the way they pave the future. The 9th has Capricorn looking into feelings they avoid. These feelings have lingered for a long time and are now coming to a head. It’s time to deal with them rather than sweep them aside. The 11th’s New Moon has Capricorn thinking about new beginnings and launching new projects. It’s still better to wait until Mercury goes direct on the 18th. The 12th is a day for reevaluating or reassessing past conditions and situations. It gives Capricorn a chance to do away with what no longer serves them. Capricorn’s award-winning sarcasm might get them in trouble on the 18th onward when people take them at their word. 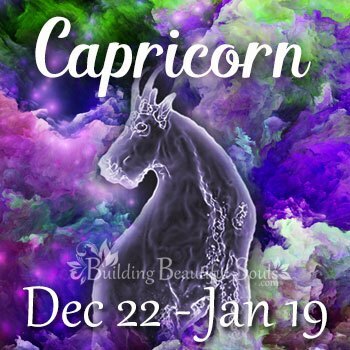 On the 19th, the happy-go-lucky feeling Capricorn has them letting negativity roll off their back. There’s a sense that nothing can stop them now. The 20th has Capricorn striving for lofty standards and feeling creative. In matters of love they’re feeling seductive. The 22nd, the Sun enters Virgo and makes Capricorn feel comfortable. Now they can focus on practical matters with fewer distractions. A Grand Trine on the 25th has Capricorn feeling on top of their game. People are transparent and predictable. Problems seem to solve themselves. The 26th’s Full Moon in Pisces has Capricorn more emotional than normal. If they feel a partner is a game player, they’ll make a move to cut what they consider the opponent. The 27th, Mars goes Direct and has Capricorn forging headlong into the future. Healing Crystals & Stones: Garnet is a suitable stone for Capricorn during August. It helps keep analytically minded Capricorns from getting scattered when positive energies run excessively high. The stone is a super amulet or talisman for promoting mindfulness. The first of the month has Aquarius ready to forge headlong into the future. They funnel the excess energy and use it wisely. On the 6th, Aquarius is feeling lucky and proud. It’s best if they move forward with caution, while keeping one eye on the ball. Then, on the 7th, Aquarius wants more social time and intriguing conversation. Single Aquarians may find love now. Those in existing relationships will intensify the bond. There’s an intuitive sense of momentous change on the horizon. On the 9th, Aquarius’ usual social nature is on the decline. They’ll prefer some alone time as they reflect on the past. Motivation will also be low. By the 11th, Aquarius is feeling like their old self again. It’s time to look to the future and the opportunities on the horizon. But, before jumping headlong into new pursuits, the 12th brings Mars retrograde action. It lets Aquarius figure out how they’ve handled things in the past. It’s an opportunity to avoid future mistakes. The 18th clears up the communication issues Aquarius has been navigating the past few weeks. Now it’s smooth sailing as misunderstandings and miscommunications fade. 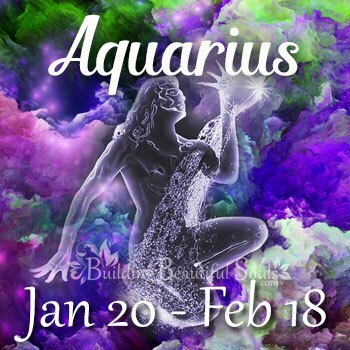 The 19th has talkative and inquisitive Aquarius feeling on top of the world. One’s humanitarian nature comes to fore. It’s time to think about the greater good for others and the community. On the 20th, with the Sun and Moon trine, Aquarius’ unusual interests will trigger an amazing depth in one’s creativity. When the Sun enters Virgo on the 20th, lofty and imaginative Aquarius feels emotionally anchored and grounded. All matters of practicality are in focus. Aquarius enjoys time feeding the mind now, with a natural interest in all learning. The Grand Trine on the 25th intensifies the grounded-ness Aquarius feels. Aquarius ends up digging in their heels and putting their nose to the grindstone in pursuits involving learning and work. The 26th Aquarius lightens up and focuses more on emotional matters. The full moon on the 27th has Aquarius ready to conquer the world. All is well as long as Aquarius thinks long and hard before they leap. Healing Crystals & Stones: Aquarius will find the soothing energies of Yellow Jasper a fantastic stone for August. It helps minimize anxiety while reducing stress. When energies are low, the stone’s calming nature helps Aquarius keep their wits about them. With high energies, Aquarius has a better time of achieving emotional balance. Rebellious Pisces may feel extra rebellious on the 1st with the Mars square Uranus influence. A disregard for consequences is all too tempting to embrace. It’s better to funnel the chaotic energy one feels into creative tasks. On the 6th, Pisces wants to come out of their shell. Confidence reigns and may make Pisces too bold. It’s okay to take advantage of the feel-good vibes. But, Pisces will also need to keep their wits about them. A Venus trine Mars influence on the 7th intensifies the need for moderation and balance. It’s a day where intuitive and psychically in tune Pisces will feel in touch with their muse. Sudden insights and epiphanies may help Pisces clear up a long-held troubling issue. The 9th has Pisces returning to the realm of emotion where they examine old relationships. Some emotional wounds linger, but Pisces will deal with the pain now. On the 11th, Pisces will feel as if they are starting out with a clear slate. There’s more passion in their heart as they shed an unwanted emotional burden. Mars retrograde action on the 12th encourages Pisces to remain comfortable in their emotional fortress. It is here where Pisces feels safest when reflecting on the past. There’s an opportunity to reassess steps one has taken and how far one has come. It’s also a chance to avoid problems. Mercury goes Direct on the 18th making it easier for Pisces to communicate with friends and lovers. A Jupiter trine Neptune influence has Pisces wanting to help their fellow human beings. Even if it’s as simple as starting up a car pool or offering to babysit for a friend, Pisces is at the ready to help. 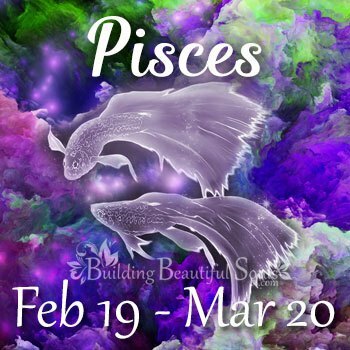 The 20th is a harmonious day where Pisces can lose themselves in music and the arts. But, the 22nd calls Pisces back from the realm of imagination into the world once more. Now it’s time to focus on real-world mundane issues, as much as Pisces may not like to do so. The earthy Grand Trine on the 25th intensifies Pisces’ focus on mundane matters. The Full Moon in Pisces will intensify the emotionality of Pisces personalities. But, the Venus Square Pluto influence threatens to leave Pisces in a problematic situation with lovers or business partners. By the 27th, Pisces feels in full control of the world. It’s important to avoid overconfidence. Healing Crystals & Stones: Pisces can draw benefits from Sodalite as a talisman or amulet. The stone serves as an emotional anchor for introverted Pisces. It stimulates rational thinking, so emotions don’t rule Pisces’ head.